Another week and we're very excited to see all your fab kids' outfits - spread the word and lets join up with as many lovely bloggers as we can! Here are Isla's weekend's outfits for this week. We are suuuuch huge fox fans and this little cutie of a dress from Beebies Baby Store has a lovely fox print on it. It's a loose fit dress with button straps and is fully lined. It is made from lovely material and fits really well. We teamed it with a denim shirt, tights and moccasins to match it in with Isla's style. Ahhhhh I can't tell you how happy I am that I found this top! I think I saw in on Instagram randomly one day and popped into Gap to see if I could but find it but alas I couldn't. Fast forward a couple months and I randomly found it in the sale for £1.99. Happy days!! I love the Khaki colour and the font of the writing. Her Uggs are still a bit big but I love them. The headband is another one from our lovely collection from Blossom Wood Boutique. The floral print on the bow is gorgeous. We love our Blossom Wood Boutique headbands and if you fancy 20% off a purchase from Blossom Wood Boutique, please use code THEKNOTTBUMPANDUS! 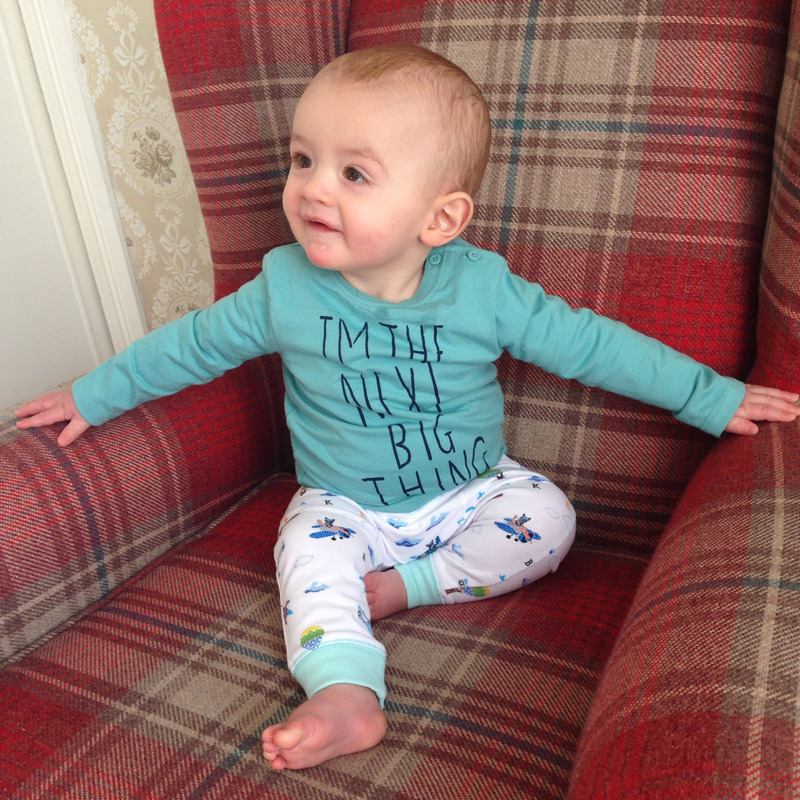 We absolutely love Santi from Baby Holiday's tee from last week. What a fab colour and saying! How cute is this flower crown!! Such a little hippy chic. Thanks Baby Sausages for sharing. 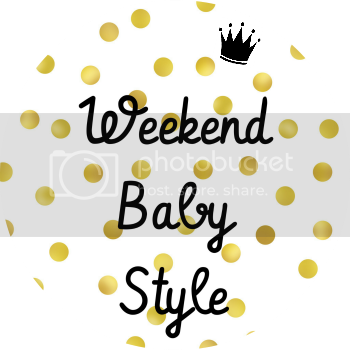 I love your Babystyle, I am so glad I could link up, I have bought some new hand bands for next weeks post and love the Buffalo Leggings!